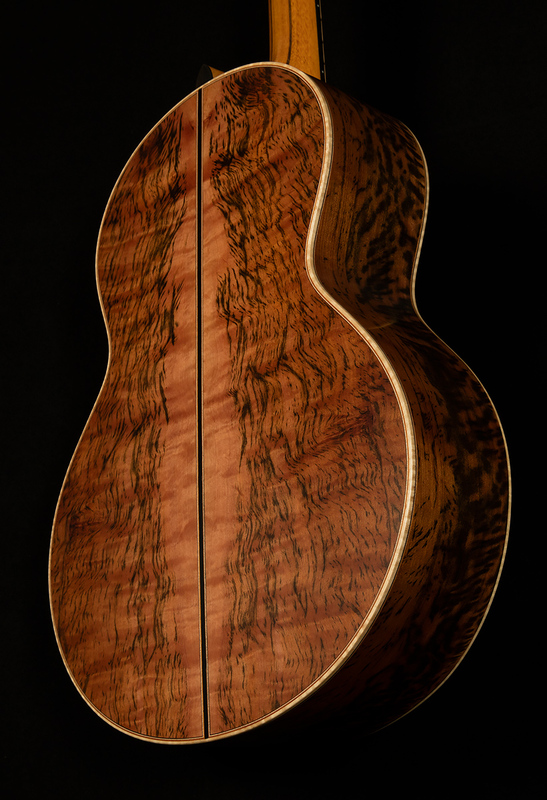 And, each cut of Tiger Myrtlewood looks completely unique, so each guitar has a distinct visual personality. 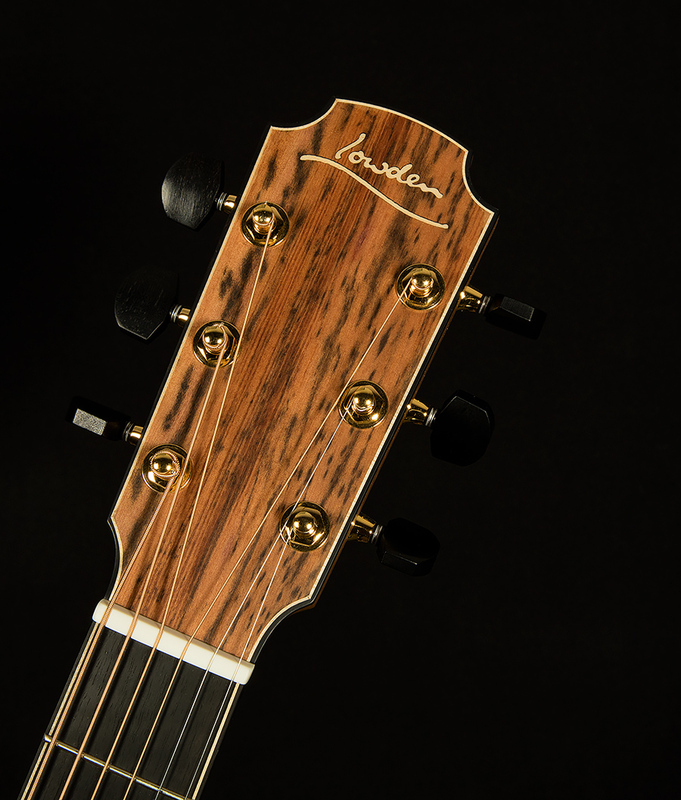 Because their wood is so rare and special, and because Lowden has built them so artfully, the guitars in the 2018 Limited Collection are beyond special. For a Myrtlewood fiend like me, they have achieved Holy Grail status in my heart (and if you’re a regular reader, you know I don’t throw that phrase around lightly!). 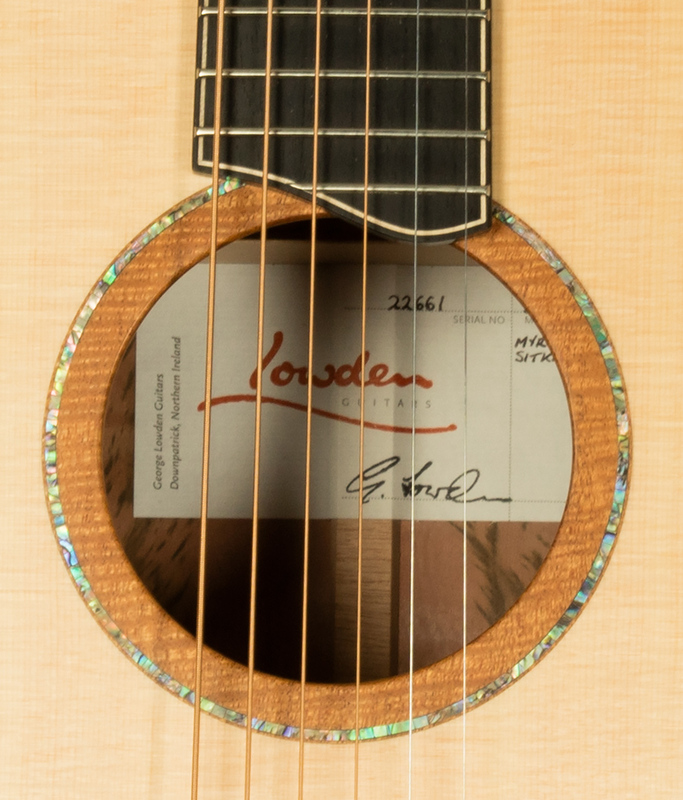 We were lucky enough to receive an O- and S- Size (thank you, Lowden! 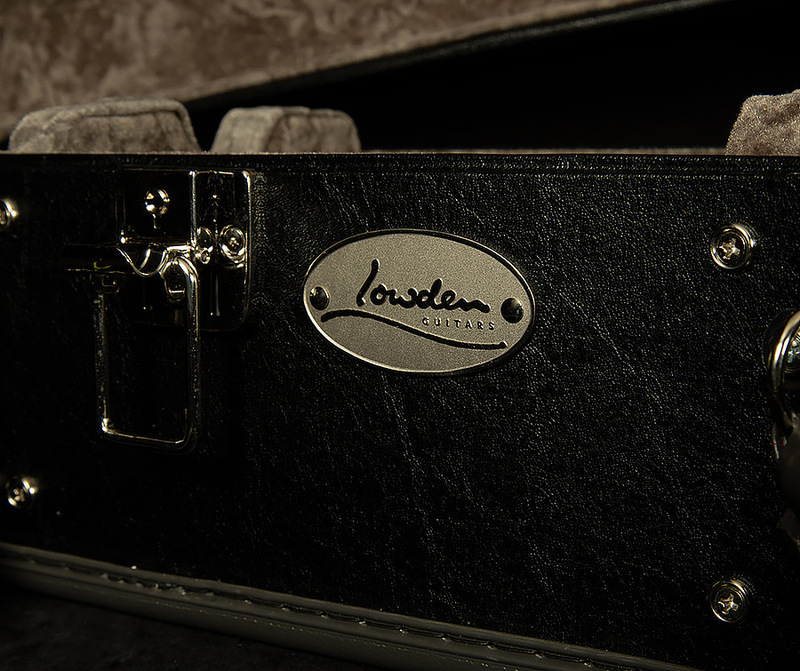 ), so let’s get started and take a deep dive into the wonderful world of tone that lives within the small-bodied S-50! When I strummed my first chord on this beautiful S-50, I made a noise that sounded like “Buhwha?” because I was so astonished at how big it sounded. 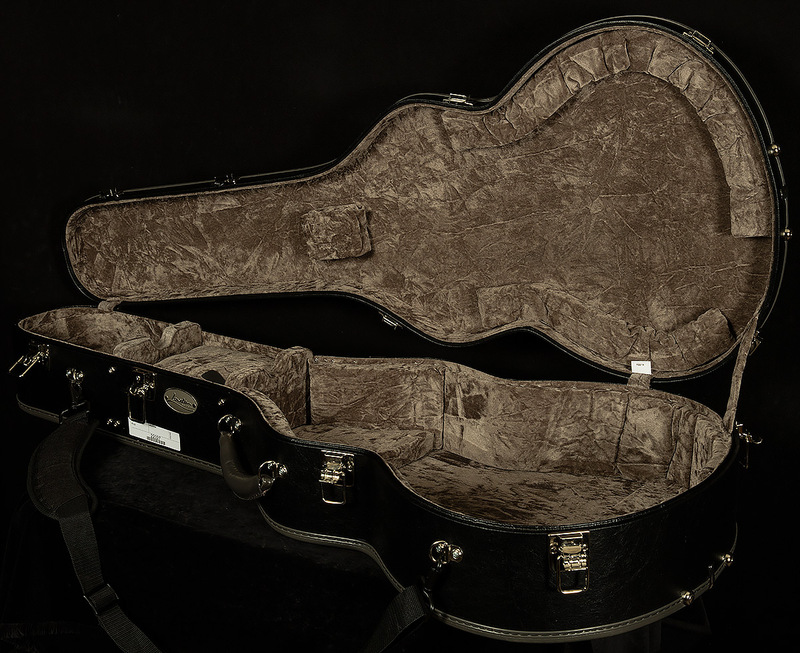 An S-sized guitar has no right to project with such authority and volume! But, it’s much more than just a heavyweight in welterweight’s clothes. 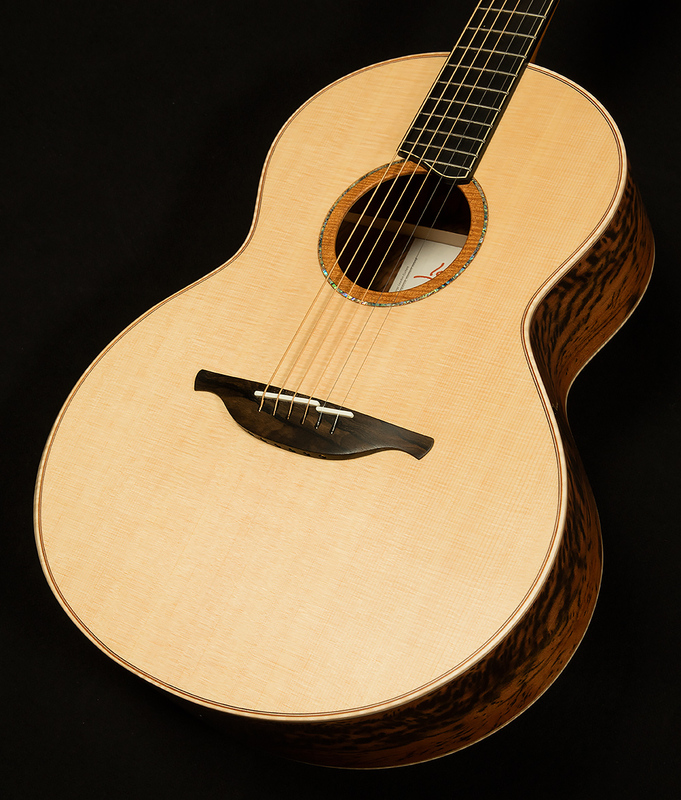 In fact, it has one of the widest dynamic ranges of any acoustic ever to grace the shelves at Wildwood. It can be big and bold, sure, but it also has an endless appetite for subtlety and nuance. Let’s take a closer look and see what makes it so special. Let’s begin at the beginning with the attack. 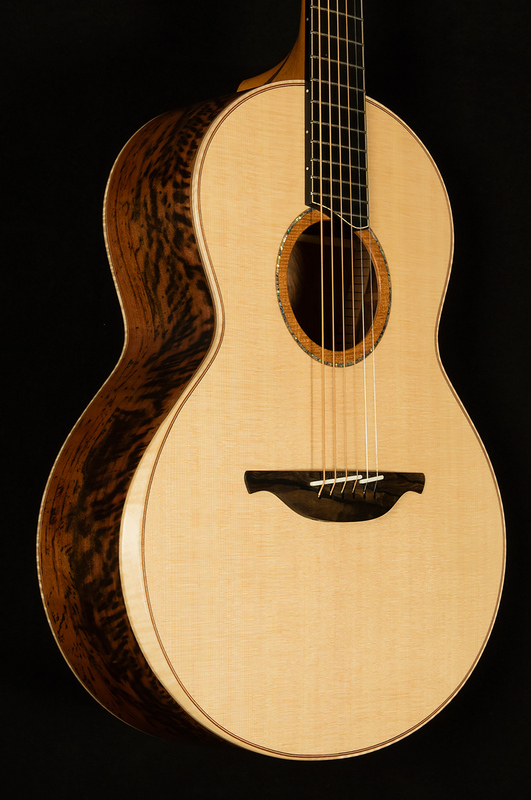 This S-50 is as articulate and responsive as a great maple guitar, but the attack has a round quality that reminds me of some great mahogany instruments. 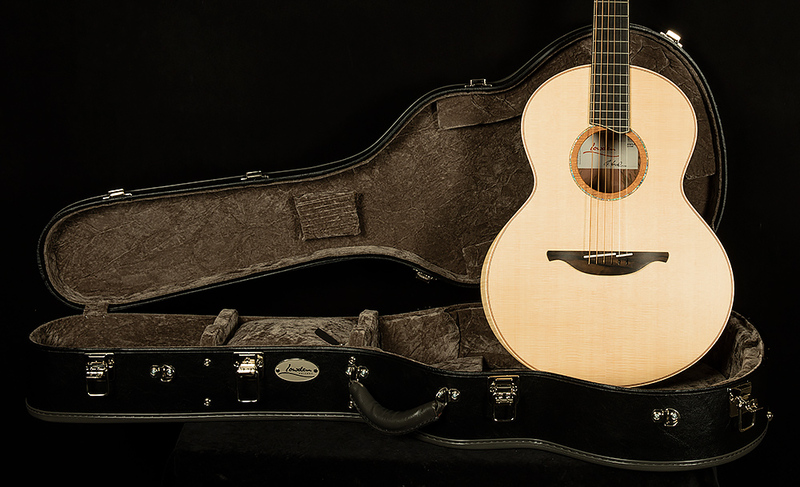 So, the guitar captures all of your right-hand dynamics with exceptional fidelity, but maintains a pleasant, even overall timbre. The low end is just about perfect. Warm, clear, tight, and focused—what more could you want? Every note is all meat and no fat, like an enormous sirloin tip steak. The midrange is broad and woody, and it produces a strong fundamental note. 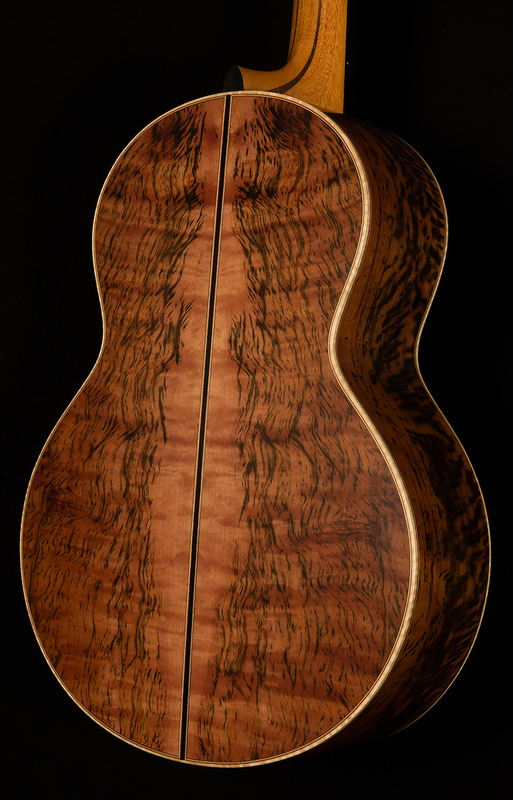 When you dig in and strum hard, all sorts of sparkling overtones pop out of the Sitka spruce top., and the guitar brightens up a bit. 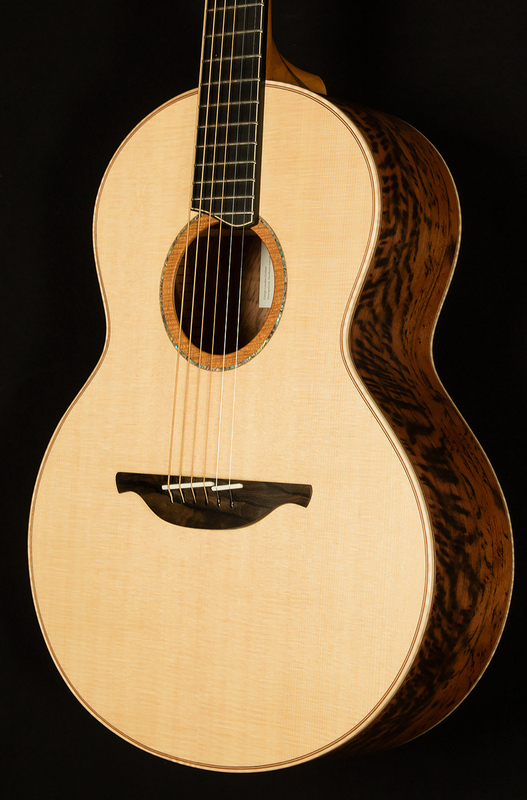 But, when you ease off, the guitar becomes remarkably clear and focused, and it achieves a warmer tonality. 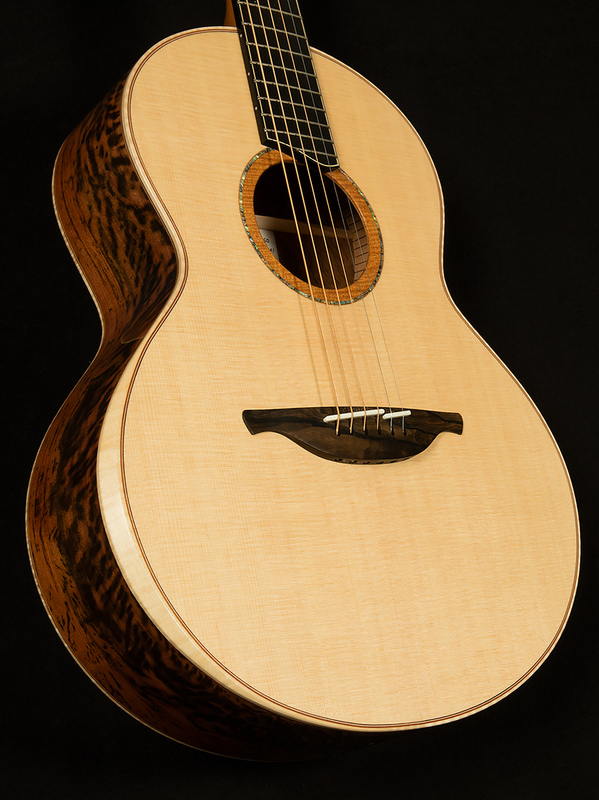 Having this much control over the midrange gives the player unparalleled dynamic range, and makes playing it a supremely expressive experience. Ditto for the trebles. 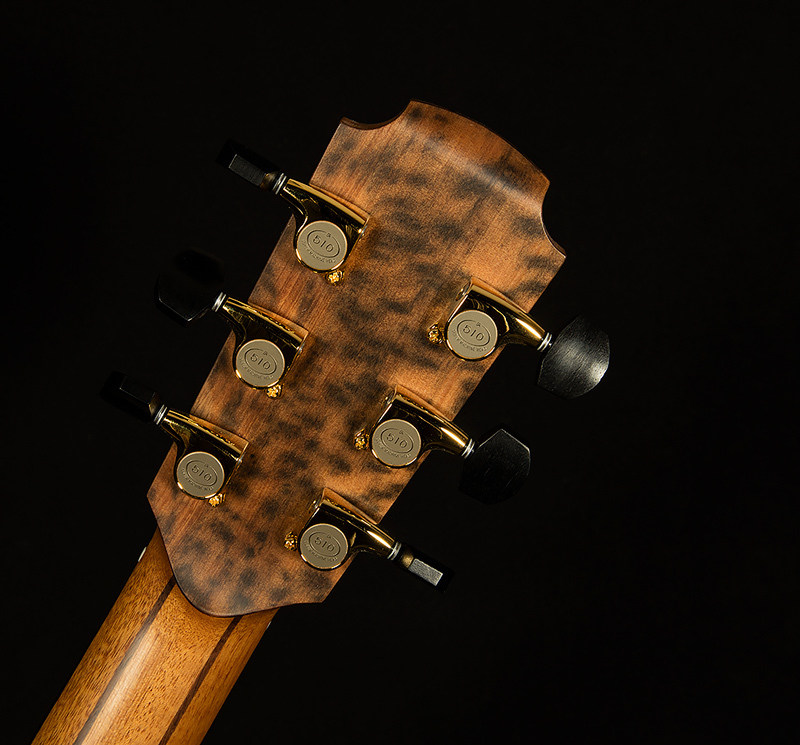 Playing softly yields a clear glassy tone, while hitting harder lends everything a glossy, summery sheen. 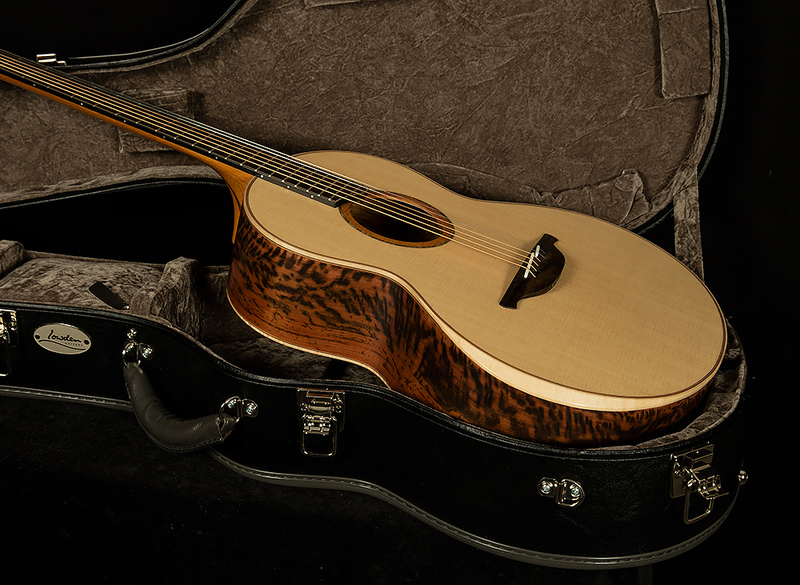 Again, this incredible touch-sensitivity makes this guitar quite expressive! 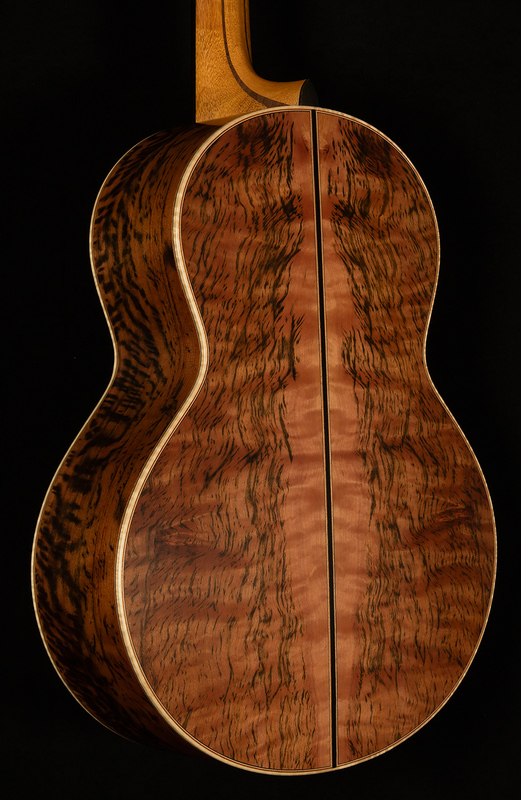 Anyone searching for a dynamic guitar that showcases the awe-inspiring tone of Myrtlewood will quickly fall in love with this Lowden. 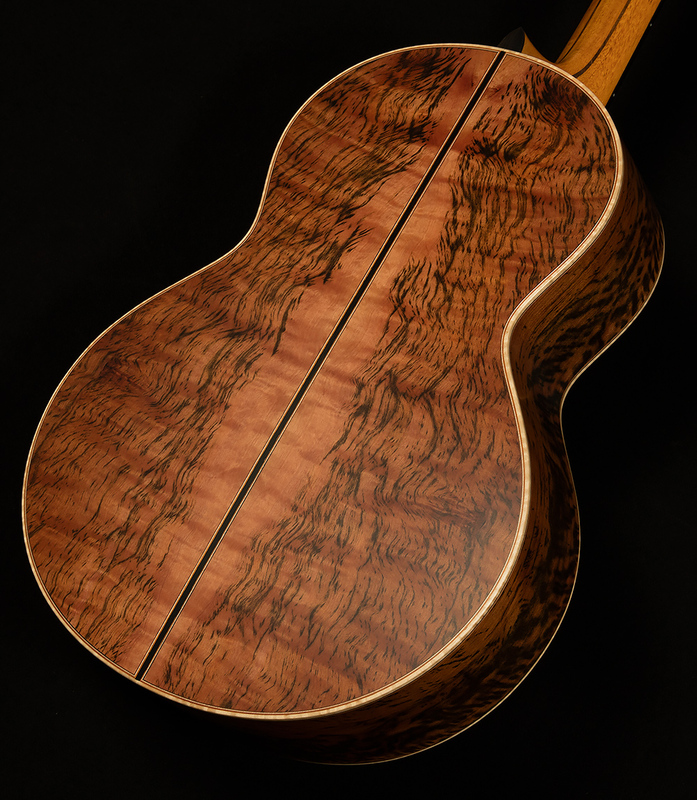 Whether you favor your flatpick or your fingers, its remarkable expressiveness is sure to inspire you to reach new heights on your fretboard journey.